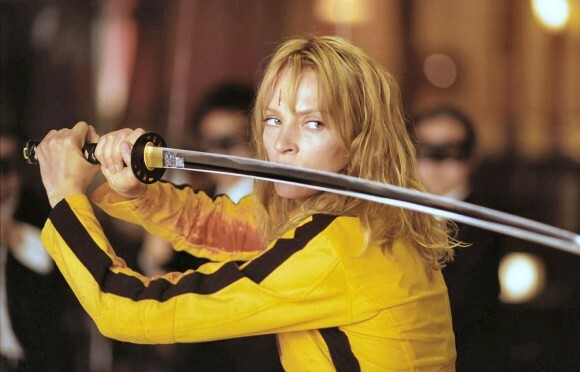 Uma Thurman with Hattori Hanzo’s katana in Kill Bill movie. Another popular samurai sword coming from Hollywood movies is Hattori Hanzo’s Kill Bill katana. I’m personally not a big fan of sword replicas from movies, but if I had to choose from The Last Samurai, Highlander, and Kill Bill which are three most popular sword replicas, I’d definitely go for the latter. There are literally dozens of Kill Bill sword replicas you can get from different manufacturers, but most of them are purely decorative. There’s only a handful of handmade and battle ready ones, which is normally my choice. The sharpened battle-ready ones usually go for $200 or above, so consider if you really want to pay that much. Fortunately, the low-quality decorative ones can be found for less than $50. 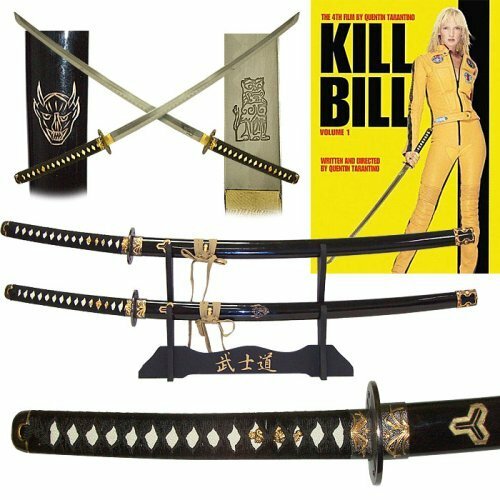 “Hattori Hanzo Collection “Bill & Bride” Sword Set with Display Stand” — $55. The above one is pretty good judging from the reviews. It also includes a display stand, and only costs around $55. If you don’t like it, you can check some of the other offers below.